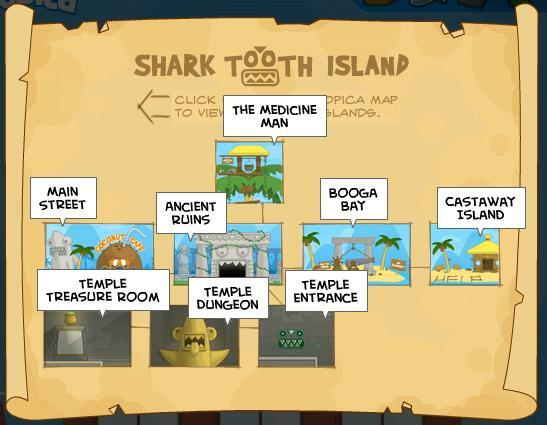 irst, go to Shark Tooth Island (if you are not already on it). You should be on Main Street. Move to the right and talk to the person wearing white and blue. He will give you a Shark Fin. You can go to your inventory and wear the fin, but note that this is optional – you do not have to wear the fin. Now keep moving right until you come across another man, this one wearing a pink flower necklace and a ukelele. Talk to him, and he will give you Carbonated Coconut Milk. At the Ancient Ruins, move all the way to the right until you see a square-shaped rock. This rock is movable. Push it until you see a tree trunk next to you and the rock. Beware of the bouncing coconuts, as they will knock you over if bumped into! Now jump onto the square rock, then climb all the way up the dangling vine above. Land on the first wooden platform, and from there, hop onto the second wooden platform (the one above the first). On the second platform, jump to the left with all your might, and you should land on the roof of the temple. If you don’t, just try again until you do. Once on the temple’s roof, move around until you see a piece of paper lying on the surface. Walk over to it to pick it up. You should have acquired the Translation Key. This is the translation key from Professor Hammerhead’s journal. Now jump off the roof and go inside the temple. You should now be on a small gray platform. Below you should be several other platforms like the one you are standing on. Jump down to the last platform at the bottom and click on the bottom of the gamescreen to go deeper into the temple. You should be standing on a small gray platform again. On the left, there should be a gray platform that swings. Wait for the swinging platform to come by, then jump on it. At the end of the ride there should be another small gray platform. Jump on that. Now jump down from that platform and you should land on another platform. On the platform you are currently on, move left and jump down to go onto another small platform, and from there, move right and jump down to the water. Swim left until you reach a stone block that you can’t go past. Beware of the tiny purple bats, because they will knock you over if you bump into them! Nearby should be a wooden log floating in the water. Jump on that and then jump onto the stone block. Now jump into the water on the other side. Swim all the way to the left until you can’t go any further. There should be a wooden log floating nearby. Jump on that and you should see a gray platform above you. Jump to that platform, and there should be a moving platform on the right. Wait for it to come by, and then hop onto it. In the middle of the ride, you should see a platform above you. Quickly jump on to that platform. Now you should see a swinging platform above you. When it comes by, quickly hop onto it. When it swings to the most left, jump off to land on a stone surface with a green thing on the wall. Now click on the green thing, and a code keypad will pop up. Use the translation key to help you figure out the code. The code is the word “OPEN,” but with the symbols shown on the translation key. Once you enter the code, click on the triangle above, in between the circles. If the code you entered was wrong, the lights will flash red and you can try again. If the code you entered was correct, the lights will flash green and you can pass to the left. Now go left. You will appear in a tunnel. Go left again and you should appear in the Temple Dungeon. Jump onto the vine on the left. Climb all the way down the vine and plonk into the water. Swim all the way to the left, where you should find a statue with a huge caterpillar crawling around it. Climb up the statue until you reach the top of the statue. Beware of the caterpillar, which will knock you over if bumped into! There should be a swinging platform above; wait for it to come by and then hop on to it. When it swings to the left, you should see a platform there. Jump onto it, then jump onto the platform left of that. Jump down left of the spiky wall, and if there’s still a hole to jump through, jump down that. If there isn’t, that means you’ve jumped all the way down. Anyway, once you’re all the way down, keep moving left until you obtain an Old Bone – by walking over to the bone in the skeleton. Now go back to the right side, where you should jump onto the nearest wooden log in the water. Above you there should be a long brown platform, jump on that. On the long platform, move all the way to the right, and jump on the statue again. Again, beware of the huge caterpillar! Now go back to the top of the statue and hop on to the swinging platform. Go back to the spiky wall, but this time, stay there. Wait for a moving platform to come by, and quickly hop onto it. Wait for the moving platform to go all the way to the left, where you should see another spiky wall. Hop onto the top of the spiky wall, and go left. You will appear in a tunnel. Go left again and you should appear in the Temple Treasure Room. Jump onto the vine on the left. Climb all the way down the vine and land at the bottom. Run all the way to the left until you see a brown pot with some green stuff inside, on a stand. Leap over to it and grab the Key Ingredient! Now climb up the vine on your left and when you reach the top of the vine, land on the surface on the left. Now go up. Jump up the 3 platforms and go up. You should now be back on Main Street. Go back to the Ancient Ruins. Once there, move all the way to the right until you see a sign that reads, “Booga Bay.” Click on the sign to come to a grass road, move right again and you should be at Booga Bay. At Booga Bay you should see a man with brown hair and a spotty mustache. Talk to him, and he will give you a Grass Skirt. Go to your inventory and wear the grass skirt. Now go back to the Ancient Ruins. Push the movable square rock next to the tree trunk again. Now jump onto the square rock, then climb all the way up the dangling vine above. Land on the first wooden platform, and from there, hop onto the second wooden platform (the one above the first). Now climb up the vine to your right. Climb up the long vine again and jump onto the lower wooden platform with glass jugs on your left. From there, jump onto the wooden platform above the one you’re currently standing on (which also has glass jugs), then climb up the vine to your left. Now hop on to the platform on the right of the vine (which has glass jugs on it also) and climb up the vine on your right and jump onto the last platform, the one with Medicine Man on it. Talk to him, and he will make a Calming Potion for you to feed the shark with. Now go back down to Booga Bay. Once you arrive on Booga Bay, go all the way to the right until you see a cannon. Click on the wheel on the left of the cannon, and the things on the gamescreen will look smaller, but you can now see the water and the cannon. Now click anywhere above the water. The Calming Potion will shoot out of the cannon and splash into the water. Wait and watch the shark consume the calming potion. Now you will be back in the normal view. The shark will be asleep forever and it is now safe to swim in the water. Now go to the right, and swim through the water (which is now safe because the shark is asleep). After a bit of swimming you should have arrived on some land with 2 coconut trees and a box marked “Fragile.” Go right and you should be on Castaway Island. Run to the right and talk to the man wearing yellowish-brown clothes and a huge gray beard. Now run right again and talk to the boy in the white shirt. Now click on the boy again, and he and the man will follow you. Slowly guide them back to Booga Bay, past the waters and the cannon. You should see a woman wearing purple waiting at Booga Bay. Talk to her, and she will thank you for saving her son (the boy). 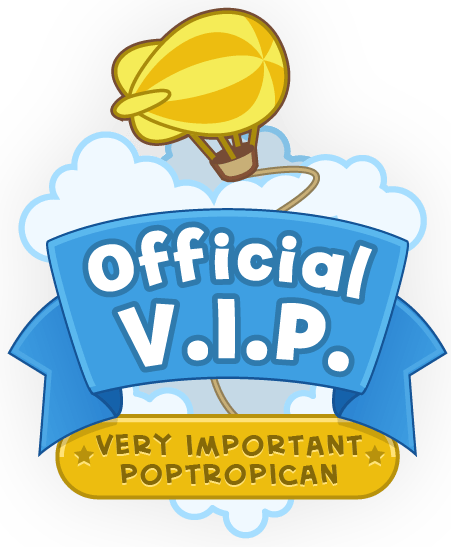 Then the man with the huge beard will give you your reward, the “Island Medallion.” You can wear it by going to your inventory, selecting the Island Medallion card, and clicking on “Put On.” You’ll also be awarded credits to spend at the Poptropica Store. Congratulations! 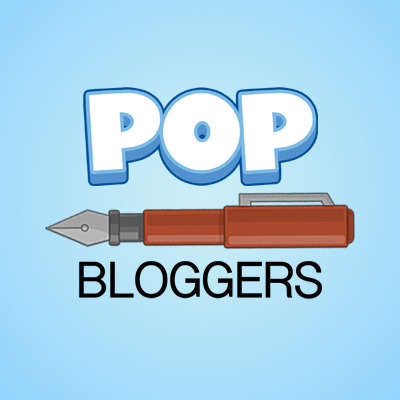 I am almost finished writing one of these, could I upload it when I’m done? Sweet, I’ll have it up soon. I’m also working on my Mocktropica Guide, because I’m borrowing BT’s on PAw.